First of all, I apologize for the cliché “selfie” shots in this post. I was in San Diego for a few days after Christmas with no photographer nearby to help with my outfit shots. 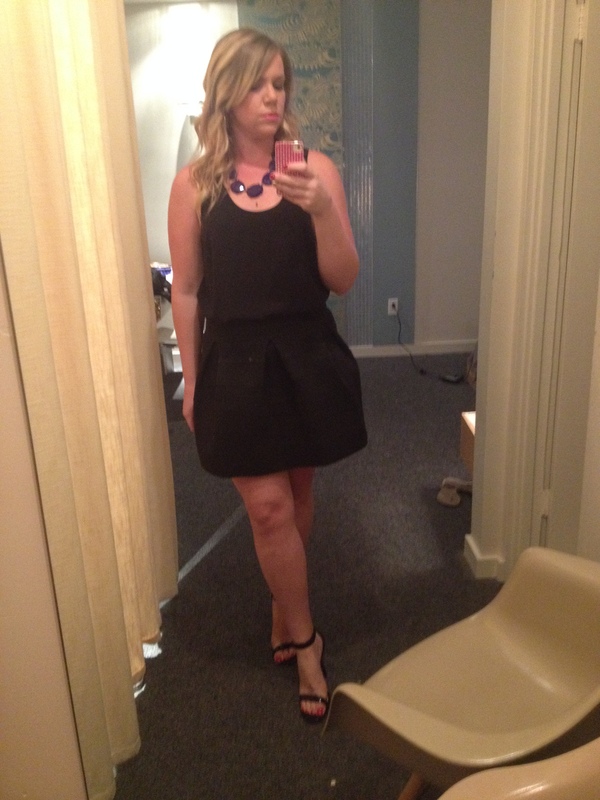 A few weeks ago I purchased an adorable full skirt mini from Paper Dolls Boutique in Palm Springs. You can see the skirt’s first appearance HERE. 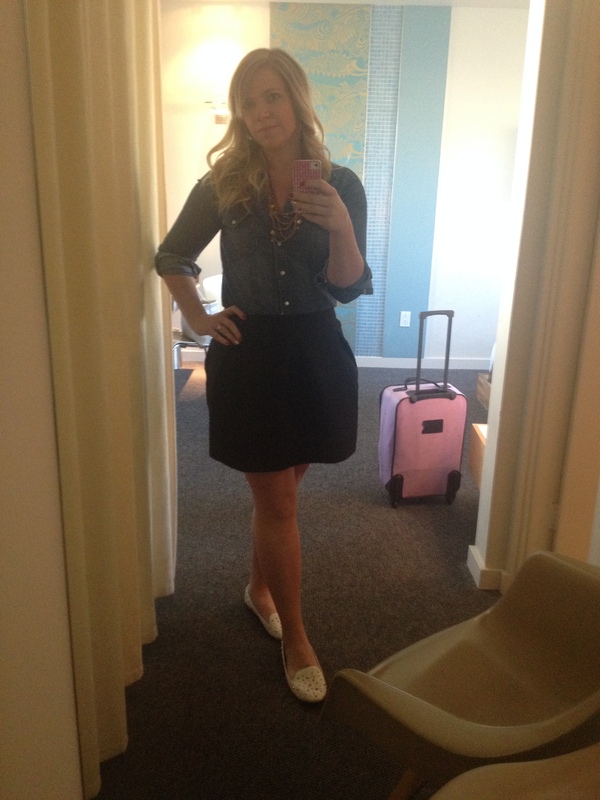 Since I was traveling light the skirt pulled double duty as a day time look and then transitioned into the evening. Here is my basic piece which is available HERE. 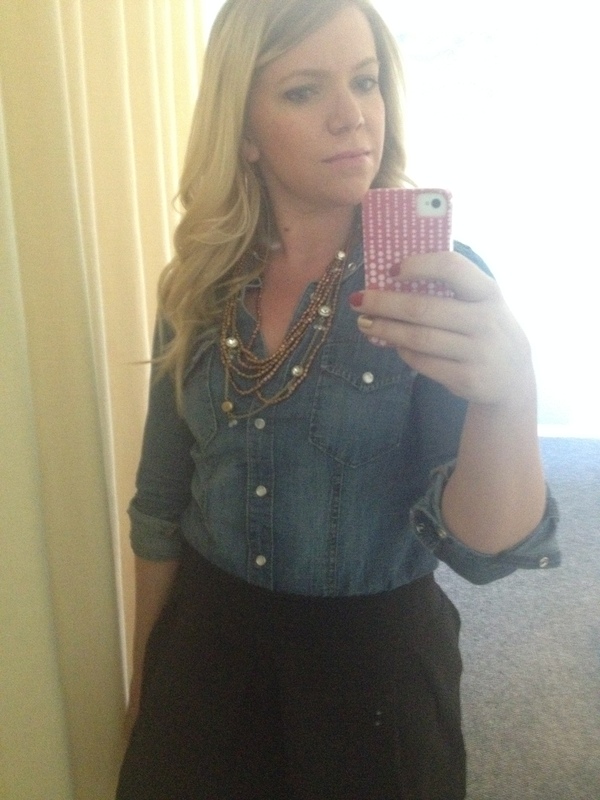 For the daytime look I paired the skirt with a chambray shirt, layered necklaces, a pair of loafer flats and tote bag. 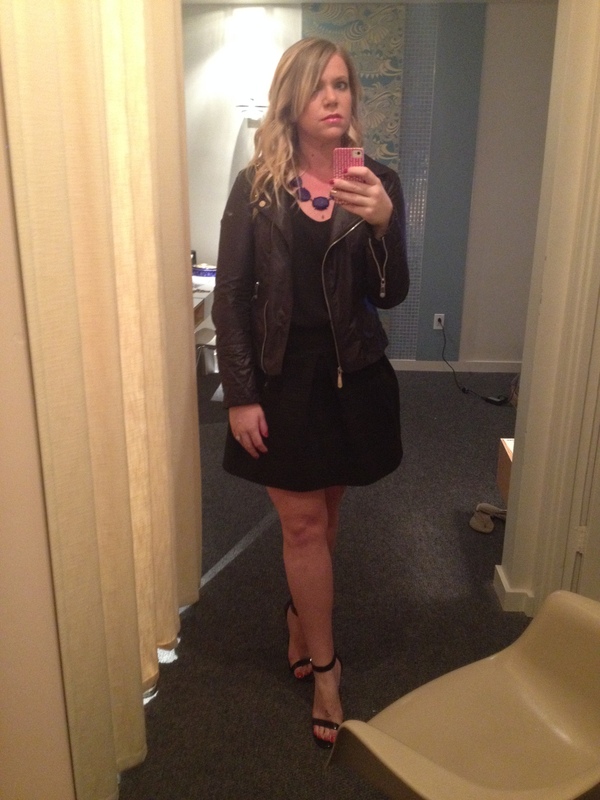 For my evening look I paired the skirt with a black tank, simple black heels, a statement necklace, Chanel bag, and moto inspired jacket. I love the leather jacket! It’s always my favorite accessory!